Cordell Lavon Butterfield, known to friends as "Corry," peacefully left this world on April 9th, 2018 at the age of 62 years. He was reunited with his mother Peggy, his father Albert, and his beloved Nana. Corry will be remembered for his quick wit, his great sense of humor, his soft smile, his love for his family, and his knack for finding trouble. He had a giving heart and a kind spirit. He leaves behind his four children; Stacie Saltzgiver, Terrie Kearney, Jessie Butterfield, Brenden Butterfield; and 10 grandchildren. His two sisters (Sheila Butterfield Strange and Kim Butterfield Moerman), and his brother (Johnny Butterfield). 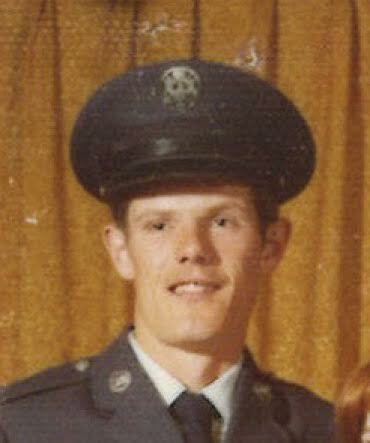 Corry proudly served in the United States Air Force and had a passion for aircraft, especially the F15 Eagle Fighter. He was one the first to be stationed in Bitburg Germany where he quickly moved up the ranks, and proved himself well as a skillful aircraft mechanic. Services will be held at the Kramer Family Funeral Home on Sunday, April 15th from 2pm to 4pm. Located at 2500 S. Decker Lake Blvd. in West Valley City.